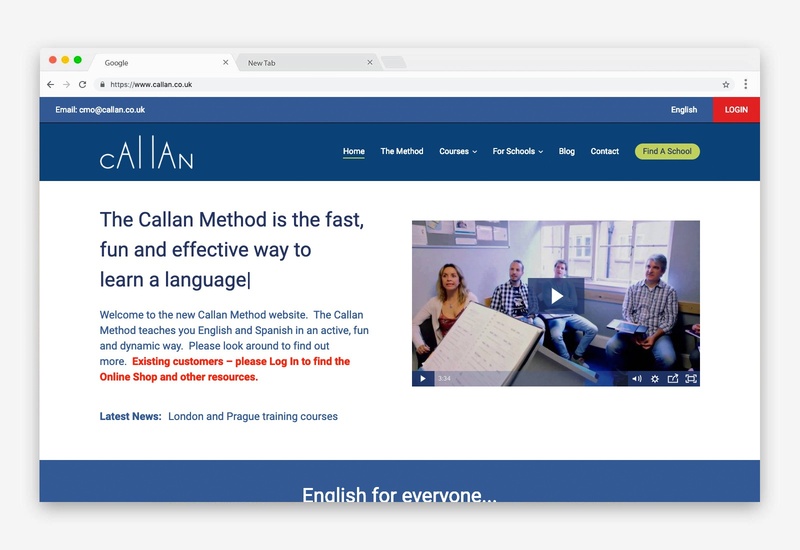 The Callan Method teaches English and Spanish in an active, fun and dynamic way. 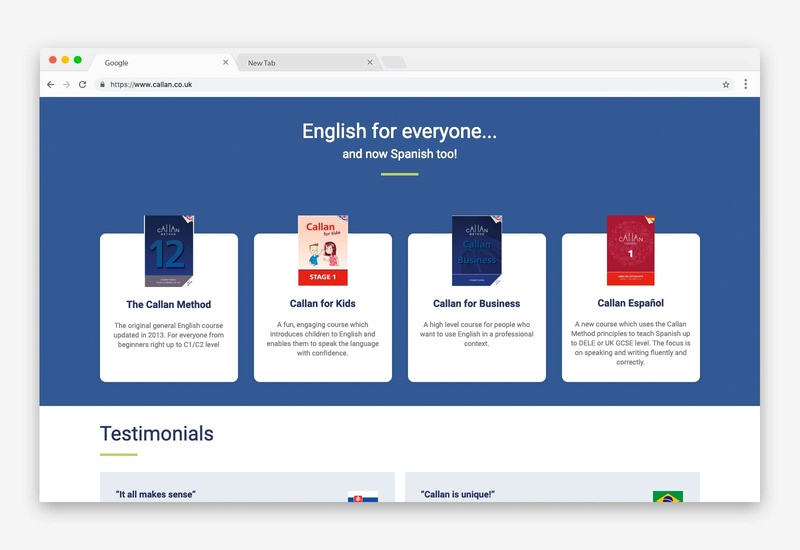 It is used successfully in more than 40 countries and helps many thousands of people every day to learn English quickly and efficiently. 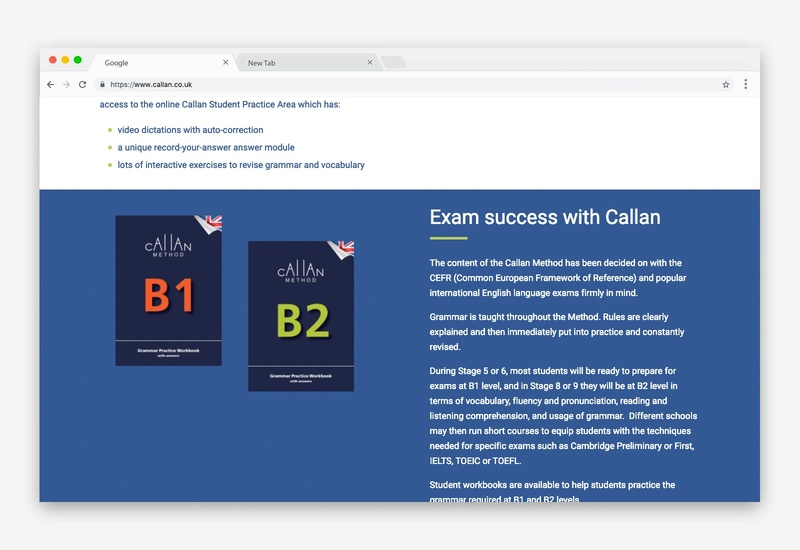 We were approached by Callan in order to revamp the website, which was quite outdated and give users a new and innovative way to browse the information available. Our brief was to increase dwell time, increase the number of people browsing for a school and increase the number of enquiries from teachers looking to use the method within their school. 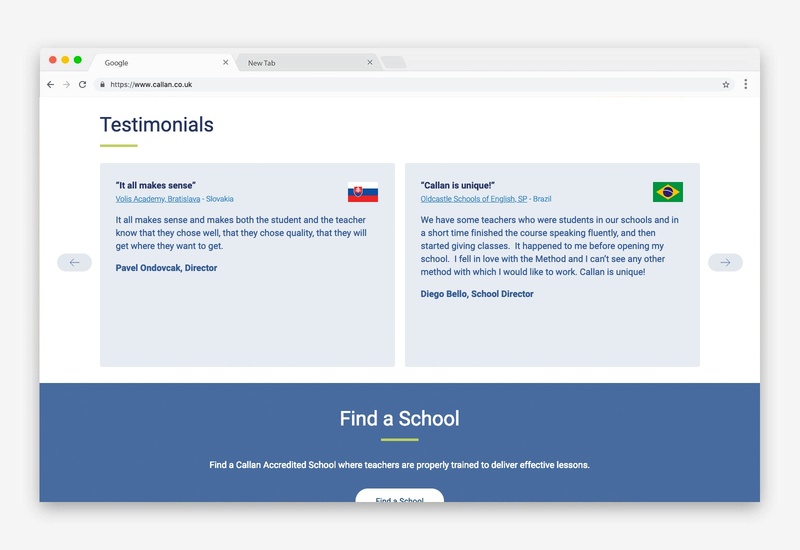 As soon as the new site launched, Callan were inundated with positive feedback from students, teachers and members of their cohort. We have managed to decrease the load time dramatically, which will in turn help the Google rankings massively. We are very proud of the site, not only from a design viewpoint, but from the usability and also the strategy that went into the early stages. We're always looking for new clients to work with, so if you have a project you'd like to discuss, please get in touch for a no-obligation quotation today.